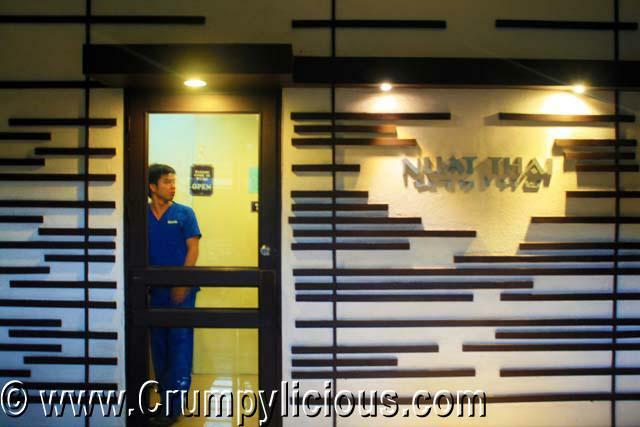 Nuat Thai Tomas Morato is located at the corner of Scout Limbaga and Tomas Morato just beside Congo Grille. It was also opposite Cerchio Grill & Lounge. Although the signage is located at the lower level, the spa occupies two floors to cater to their clients demands. Since the first floor was full of clients, we were only able to view the second floor. It looked clean, elegant and cozy like a luxurious spa. We were told that celebrities frequent there too. As we glanced on their price list, we found out that they had a wide range of services for an affordable price. The boys were easy to please. They wanted an aromatherapy massage and that's it. But for us ladies, we wanted to avail a lot more. Studying all day has made my back ache so I wanted to enjoy a full body massage. I also want a body scrub. 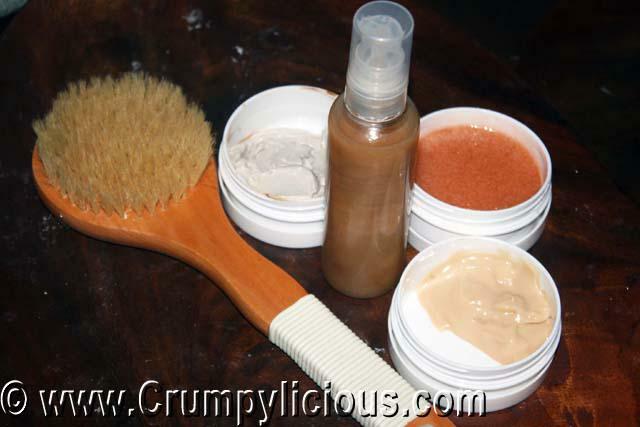 I intended to get some natural scrub by the beach last summer but Kurt and I couldn't fit it on our schedule. My girl friends also want to avail of a variety of services. 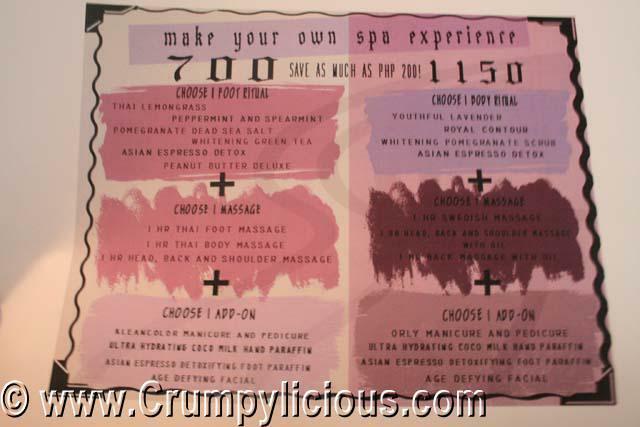 We were all having a hard time deciding when they told us that they have a "Make Your Own Spa Experience" promo package. We were all delighted because for 700 php or 1,150 php, we could already avail of three different services. We've been to other spas before and for an ambiance offered especially the partitioning of the rooms, it usually costs a thousand for a body massage alone. 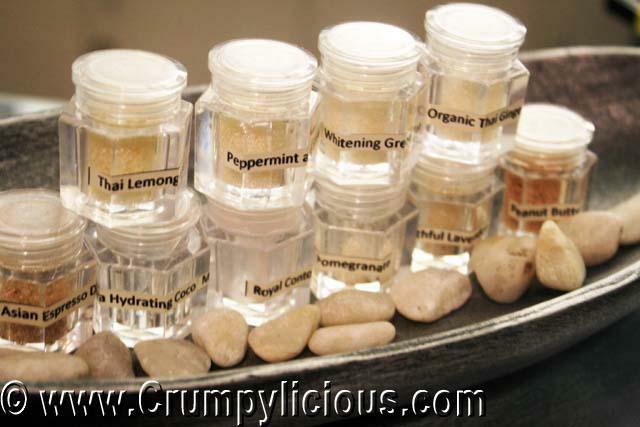 To aid our decision, they had this little bottles were we could sample the smell of their scrubs. After a few minutes, we told them our options. 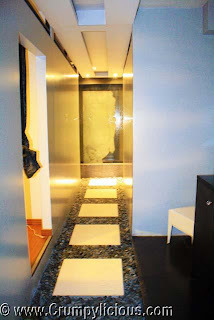 After a few minutes, we were individually escorted to our own rooms where our pampering session awaits us. We entered into the stoney steps passing by several partitioned rooms. Some of the rooms have the flat bed for Thai massages which requires a lot of stretching. While the other rooms have Swedish beds for the Swedish massage and body scrubs. 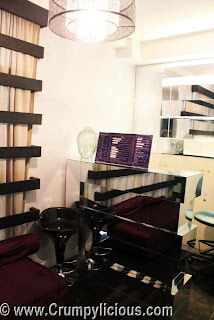 They also have rooms with salon chairs and lazy boy chairs for their hand, foot and nail services. 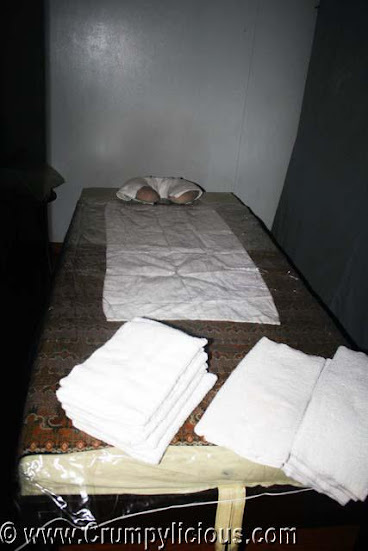 Kurt was taken to a room with a flat bed for his Aroma Therapy Massage. On the other hand, Berylle and I were taken to a room with plastic covered Swedish bed for our Body Scrub. 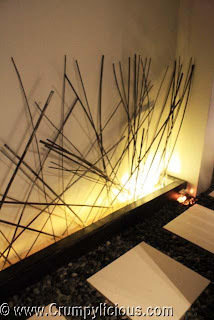 The Aroma Therapy Massage is a 1 hour and 30 min massagewith a mix of both Swedish Massage and Shiatsu. 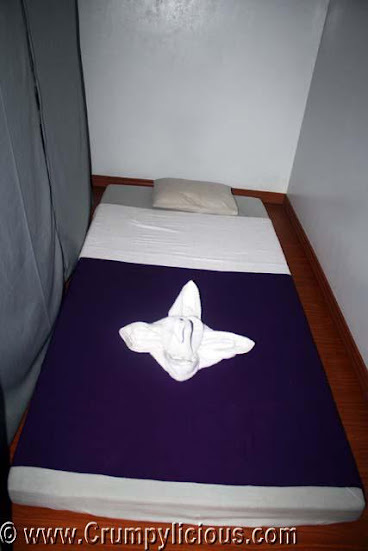 At the very end , a warm aromatic bean bag back massage was performed that soothed both the body as well as the mind. After my detox, I was led to the shower area where I washed the white mask off my skin and prepared for my Swedish massage. The same therapist performed my Swedish Massage. This time, I found myself asleep except for the part where I felt some bone crunching. 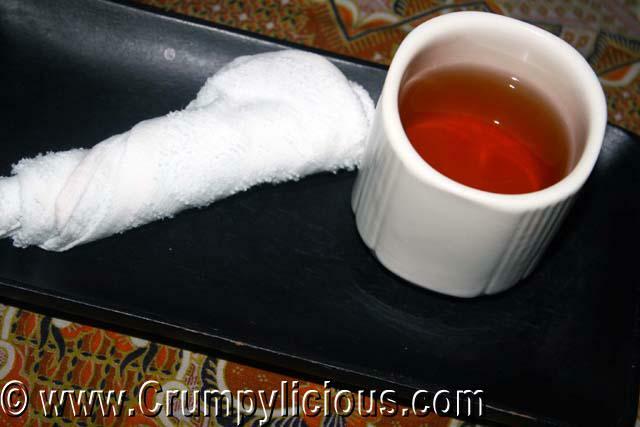 After our massage, I was asked if I wanted some juice or tea and I chose the latter. After getting dressed, I was led to a room where the lazy boy chairs were for my foot paraffin. This was my first time to try it. My foot theraphist Len gently massaged my foot and dipped some part of it into a wet liquid to ask if the temperature was okay. As I gave her the go signal, she continue to dip it into the clear substance which I soon found out was the paraffin wax as my foot turned white with its coating. Now this scenario looked familiar to me... Ever watched "Wanted" where Angelina Jolie would dip her whole body in the wax wherever she was wounded? I never understood the reason for it until I researched using Nuat Thai Tomas Morato's FREE wifi about it while detoxifying. =D It turns out that the paraffin treatment can help ease tense muscle and tissues making them heal faster and become softer. It has been used since ancient Roman times too. My feet was then plastic wrapped and clothed into a foot mitten. And, it was left like so for about 20 minutes. When Len came back, she removed the plastic and the paraffin wax from my foot as if it was a sock. It was removed in one piece without any residue. I couldn't believe how soft my feet was. It felt like baby skin. It was so smooth and silky. My feet also felt relieved free from all the walking and shoe pains. As soon as I was finished, I checked out how my friend Berylle was doing and I suddenly envied her for her manicure. It was beautifully done. Most of us already knows about the hit movie "Avengers" and because of that they created a fan book app for it wherein you get to play as your favorite Marvel heroes such as Iron man, Captain America, Thor, The Hulk, Hawkeye, Black Widow , Spider Man and so much more. The game play of Marvel Avengers Alliance is simple enough for anyone to understand and most likely old school role playing game players will like this as well especially since the game is similar to the old Final Fantasy games. Majority of players would like to get ahead of the competition and with that in mind here's a few things that might help you along the way. Now the links below will provide you a little leverage against the other players. Gains an extra turn if attacked. 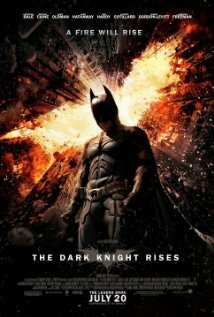 There was a lot of expectation with the "The Dark Knight Rises" and it did not disappoint. It is in-depth and lengthy with a brilliant plot. Director Christoper Nolan has done a great job indeed. Christian Bale taking the leading role as Bruce Wayne as good as it has always been. Every cast was spectacular in their role especially Anne Hathaway who played as Selina. The plot brings reference to the prior movies "Batman Begins" and "The Dark Knight". Somehow it related more on the first movie though. 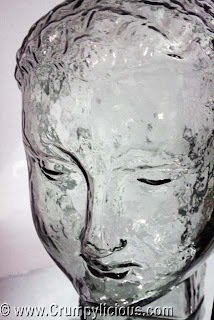 Nevertheless, I was on the edge of my sit as the story unfolds. Watch The Dark Knight Rises!